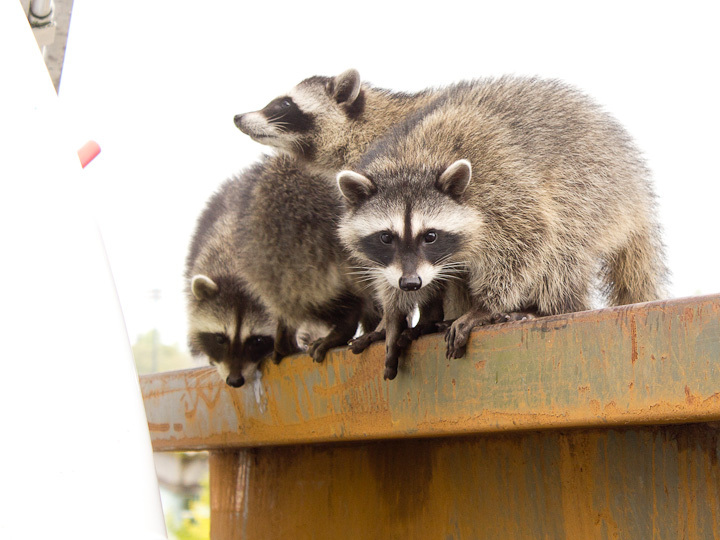 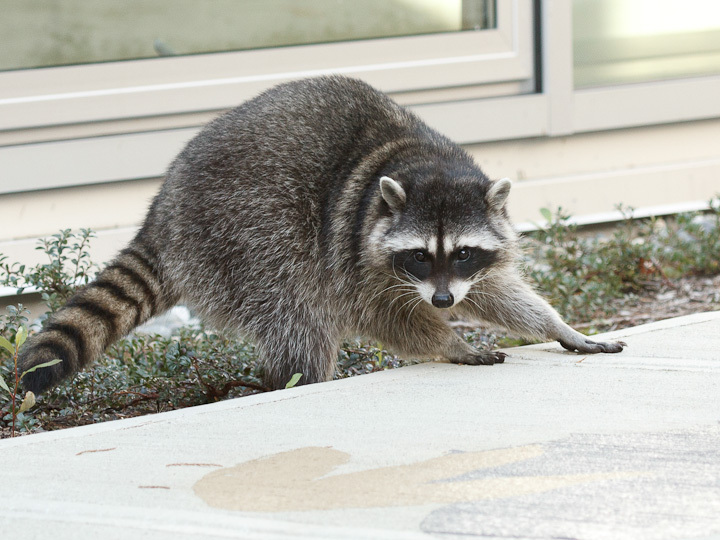 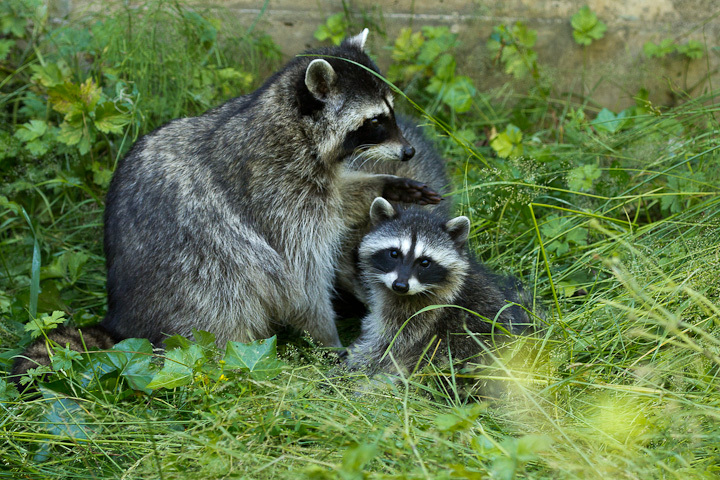 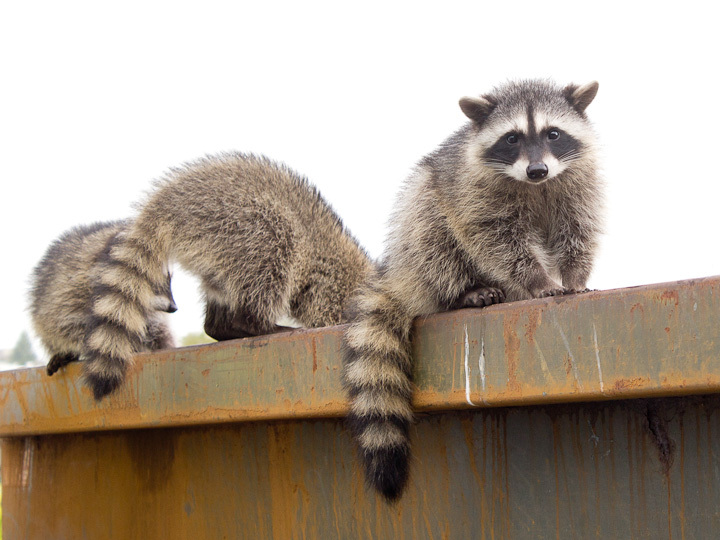 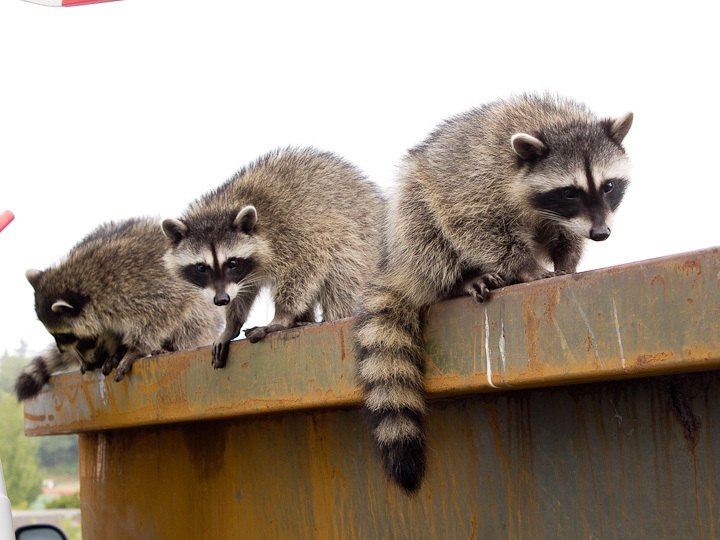 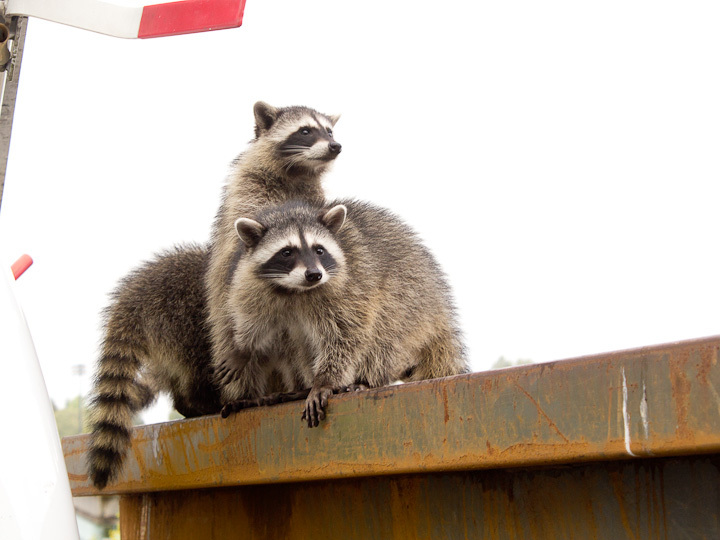 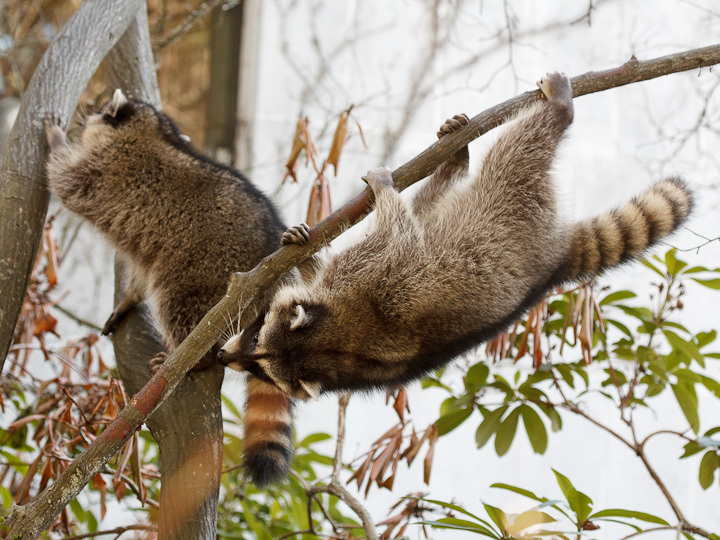 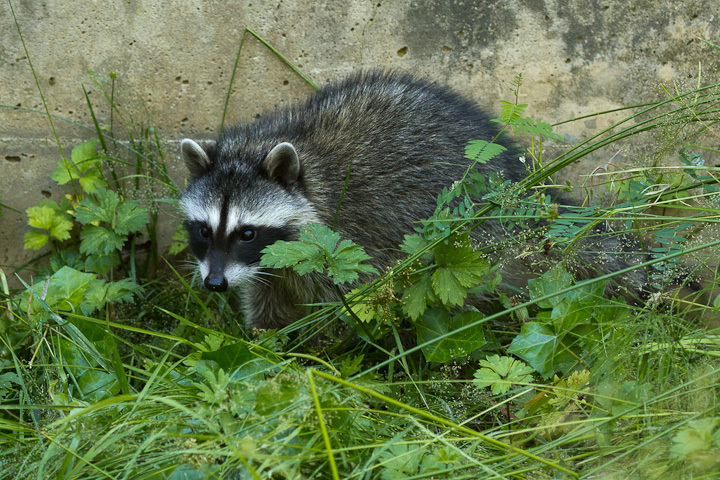 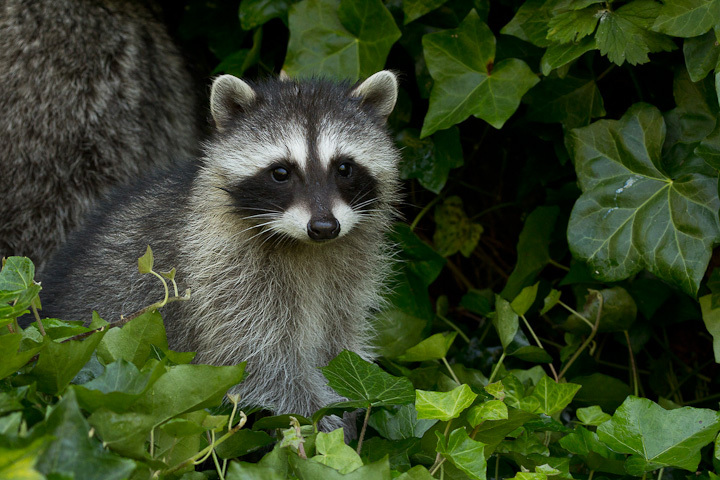 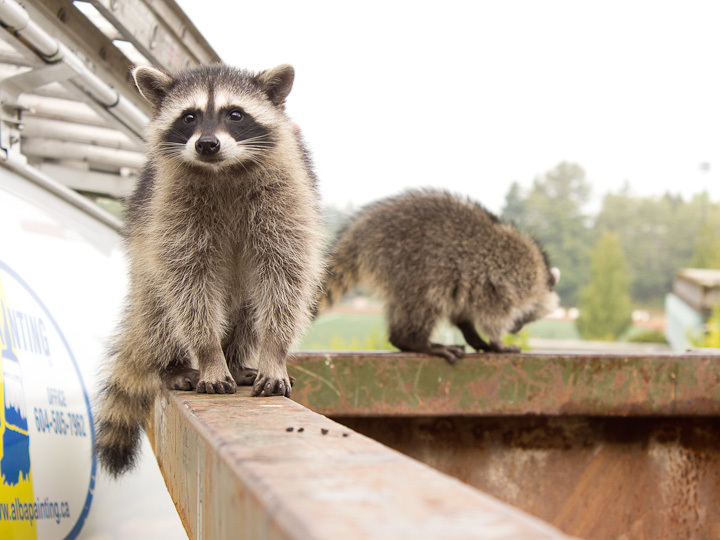 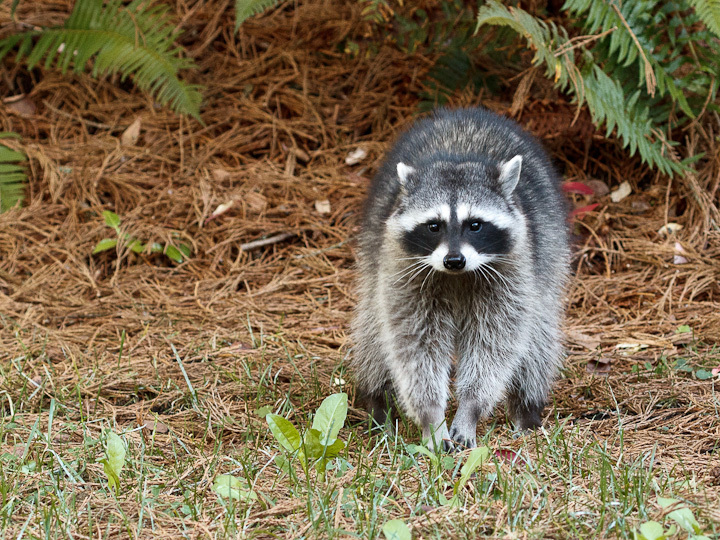 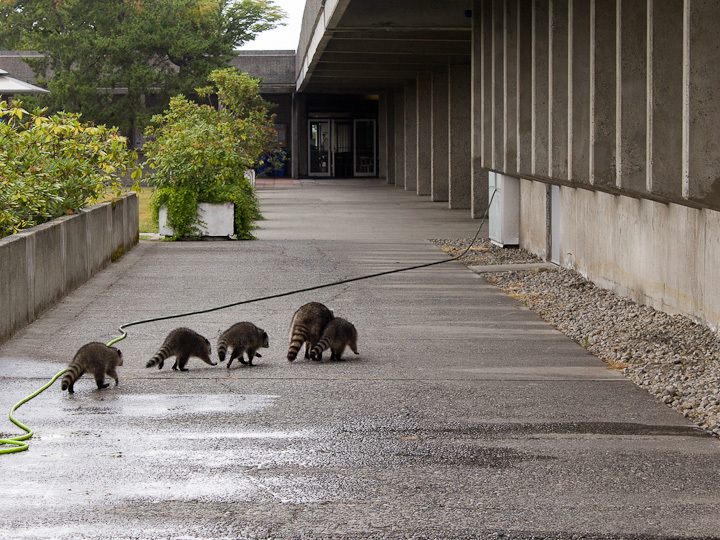 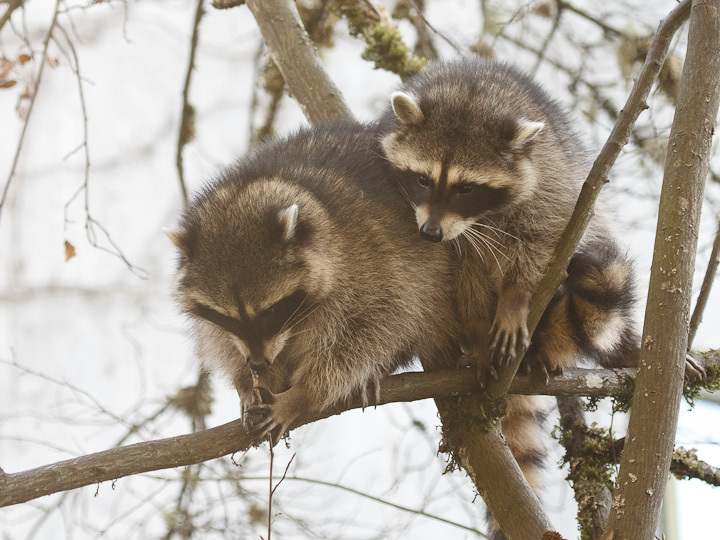 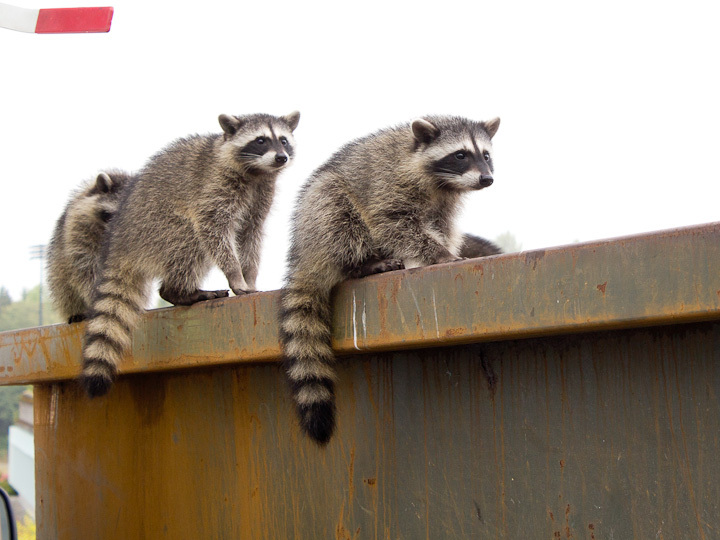 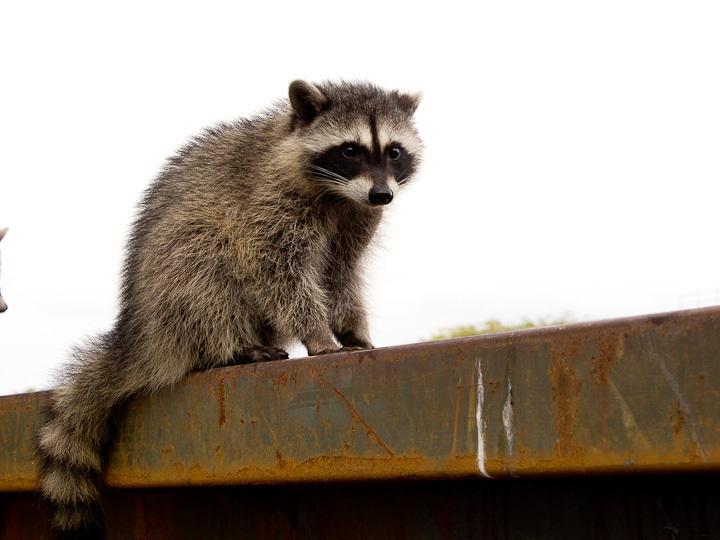 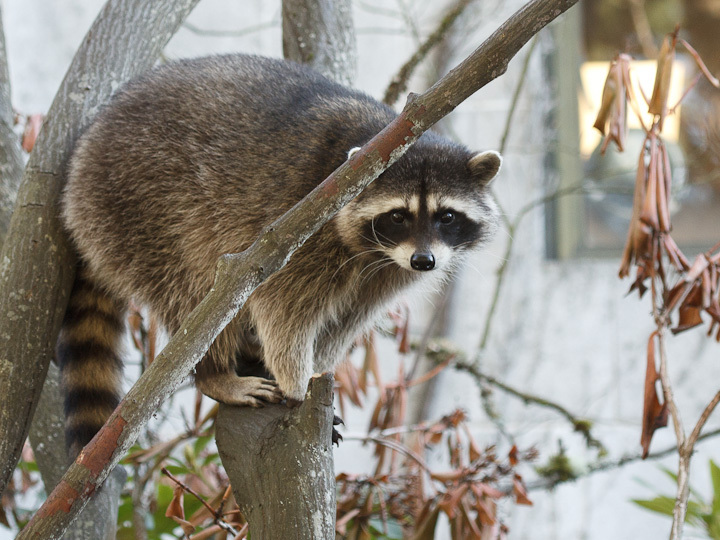 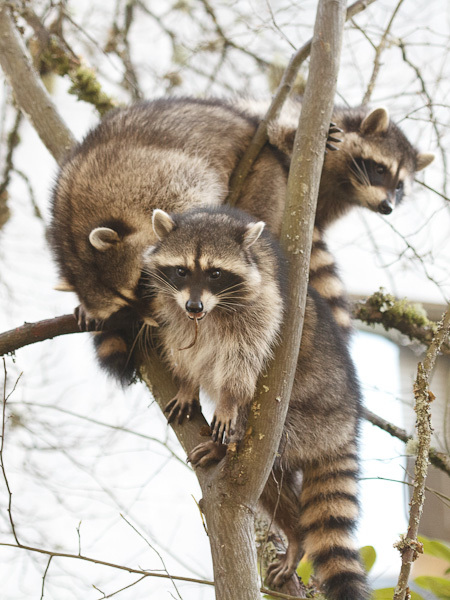 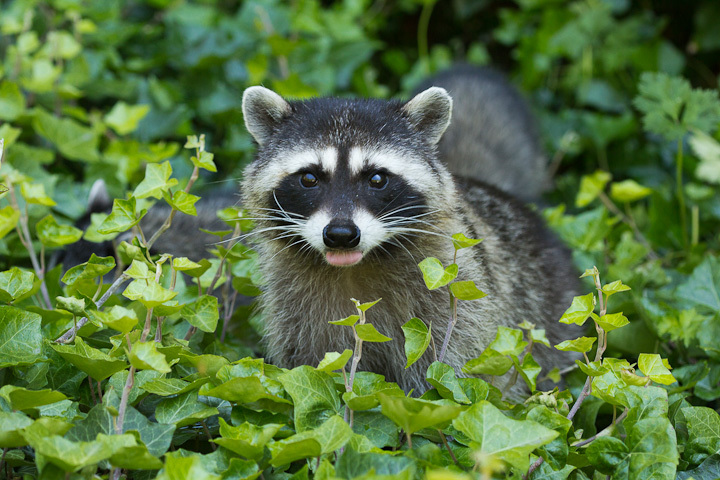 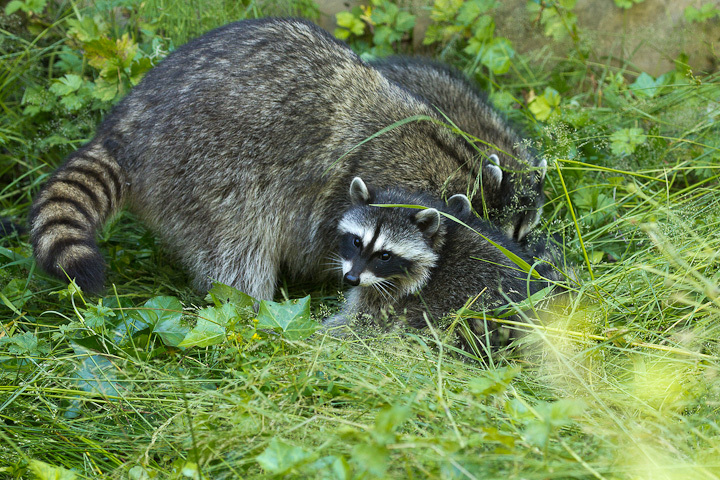 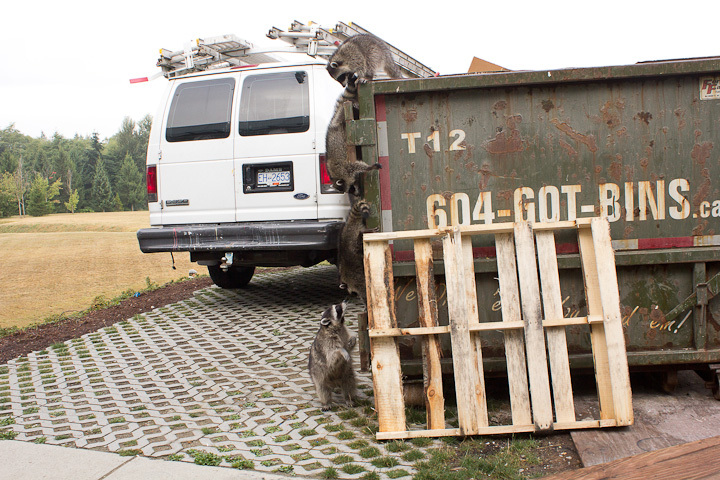 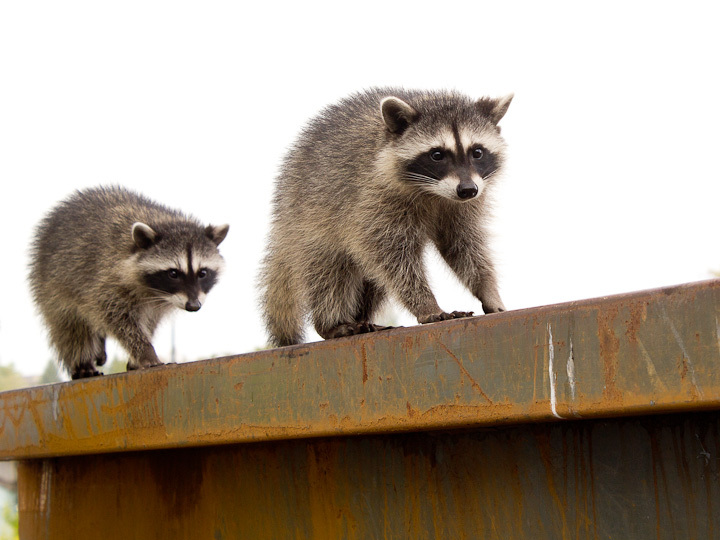 After last night’s depressing post, I got a bit of a lift from some raccoons that we found on the way to the lab. 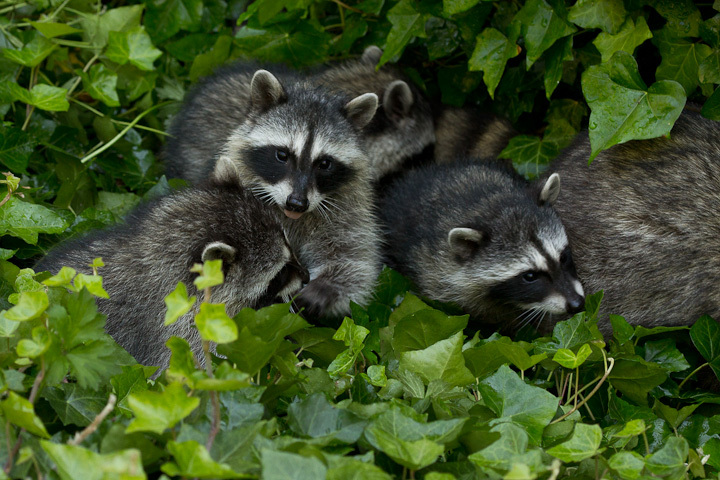 I reckon this is the same family I shot a few weeks ago. 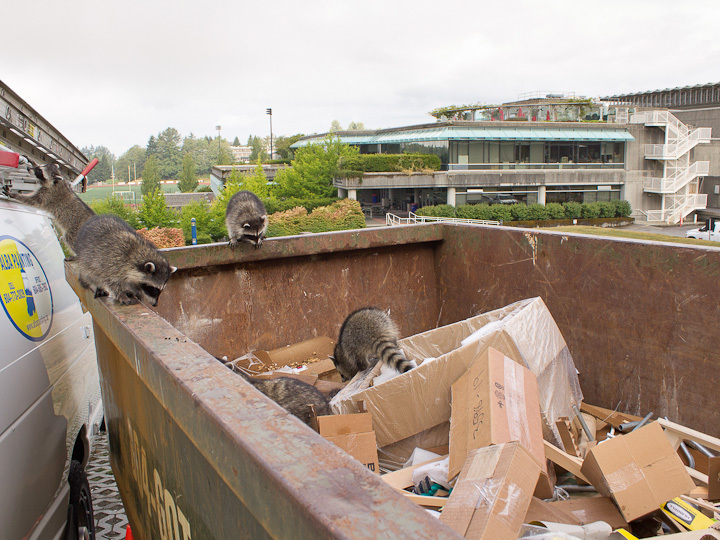 This time they apparently came into the lab, and when Catherine and I came upon them, they were scavenging in a dumpster outside the Chemistry Building. 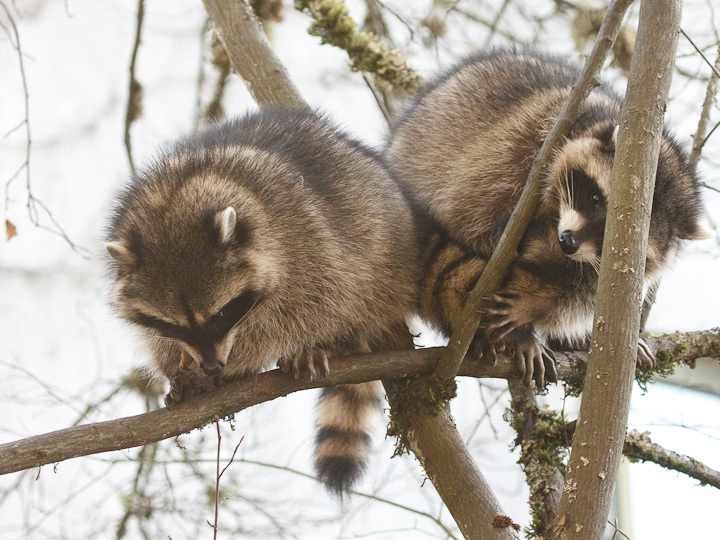 Anyway, enjoy the baby raccoon break! 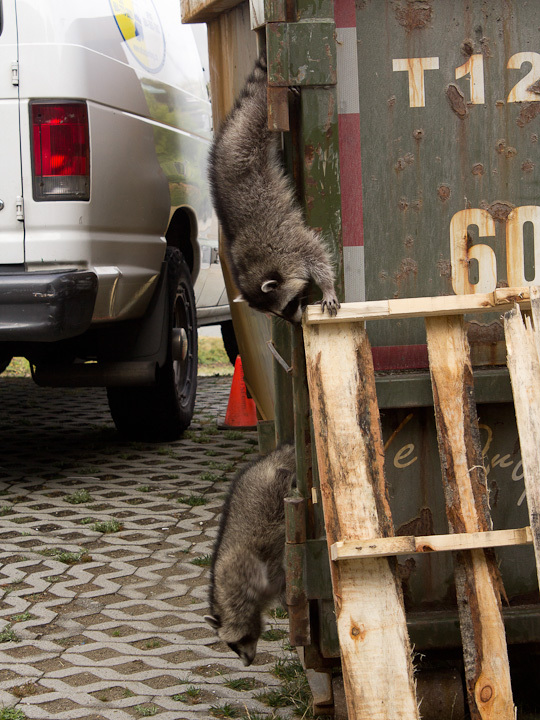 Surprise lab inspection! 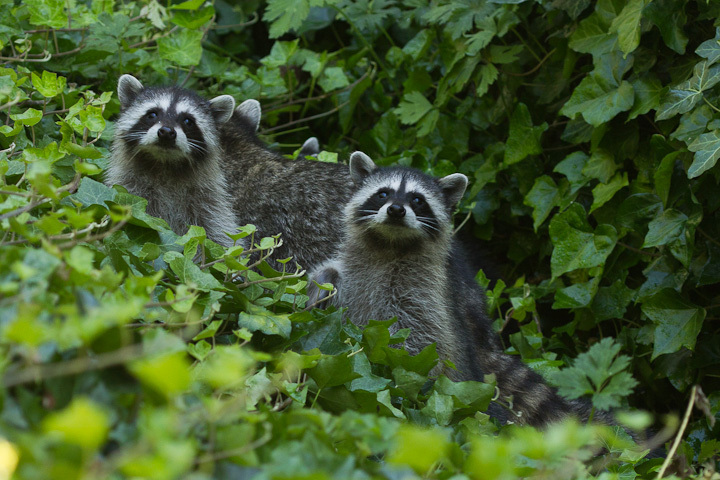 Photo by Mike Hrabar.